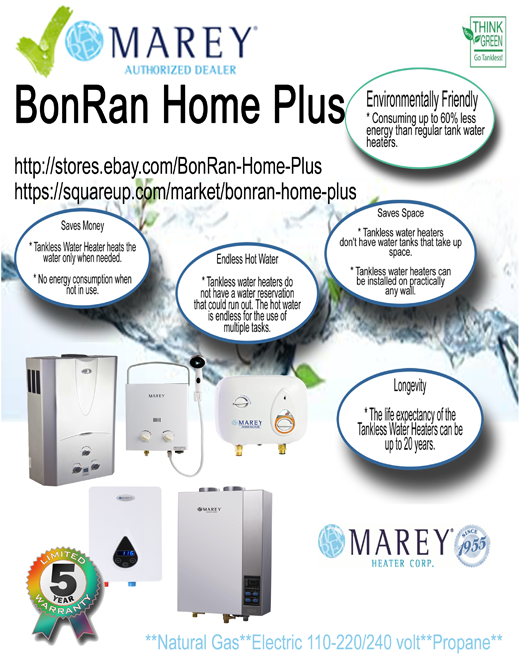 The convenience of hot water with just the turn of a faucet! 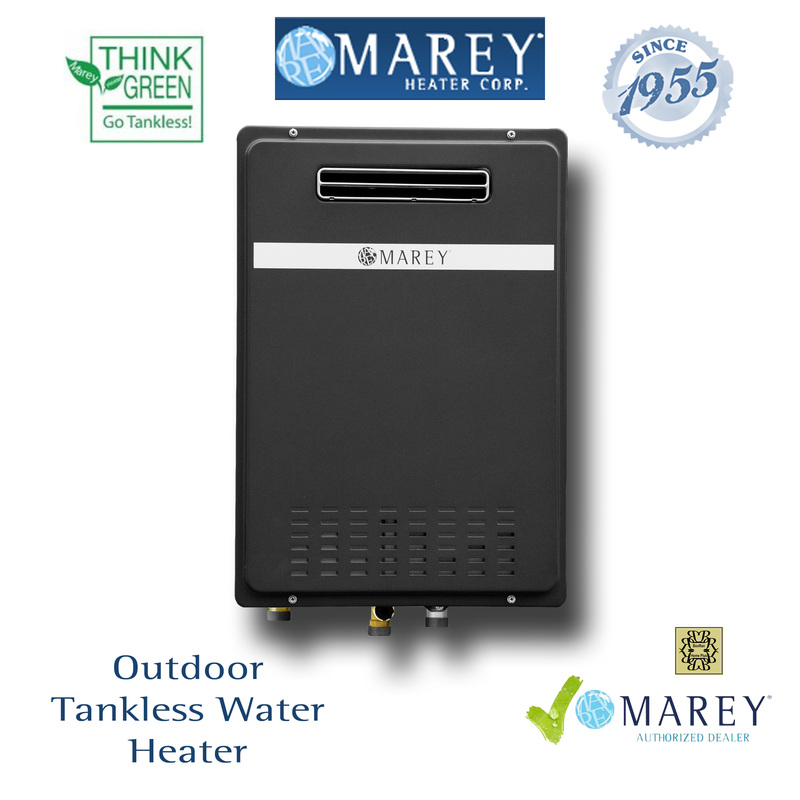 The Marey Gas Outdoor Tankless Water Heater is a perfect energy efficient solution for your entire home and is sure to bring you and your family warmth with its endless flow of hot water available at whatever time your heart desires. An all copper heat exchanger maximizes the heat transfer which ensures your unit is operating at maximum efficiency, saving you energy and money. In addition, the flow sensor ensures proper activation with low pressure installs. Intelligent self-regulation compensates for any changes in the volume of incoming water temperature. These units are loaded with safety features to protect you, your family and property. Available in both Liquid Propane and Natural Gas with sizes of 22 liter / 6 GPM, 26 liter / 7 GPM, and 30 liter /8 GPM. The remote LCD display gives an accurate outlet water temperature which ensures your hot water is always at the exact comfort level which you desire.